Search.protectedio.com is the PUP that uses misleading techniques to prevent removal. Use Reimage to locate malicious components and get rid of them faster than with uninstall instructions. A full system scan blocks virus reappearance and prevents traffic to malicious domains. What should I know about Search.protectedio.com? How can I avoid this hijacker? 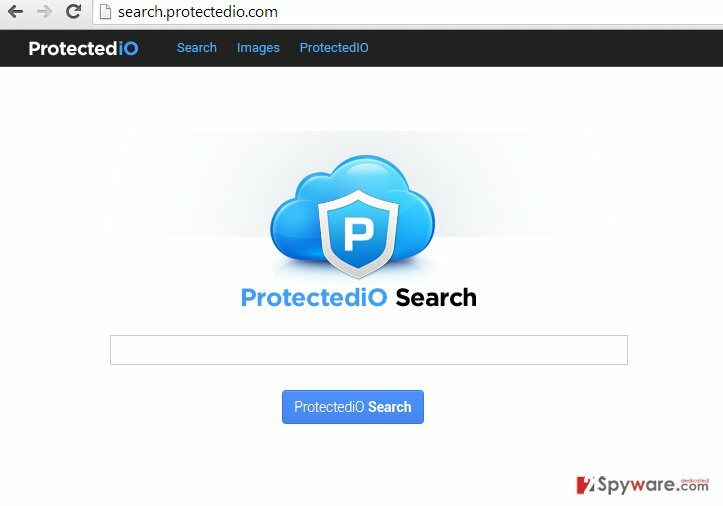 Search.protectedio.com is a potentially unwanted program, a search engine, which has been actively spread with the help of ProtectedIO software and other programs. As soon as it enters the system, this search engine hijacks all of the web browsers by altering the start page, the default search engine, the new tab page and other settings on Google Chrome, Mozilla Firefox, Internet Explorer and other system settings. As a result, the victim finds himself or herself disabled from favorite search engines. Instead of them, he/she has to use Protectedio Search, which has been reported for showing people altered search results seeking to cause redirects to sponsored websites. What is also important when discussing this search engine is its ability to track its users and collect such data as their mostly visited websites, entered data, search terms, email address, computer’s IP address, its location, etc. According to the developers of this search site, data that they collect is not personal. However, they let their users know that they share it with third parties. Would you like to reveal your email address or PC’s location to strangers? We don’t think so. To stay safe and keep your computer virus-free, we highly recommend you to remove Search.protectedio.com from the system. It is not hard to do that when using a reliable anti-spyware, such as Reimage. 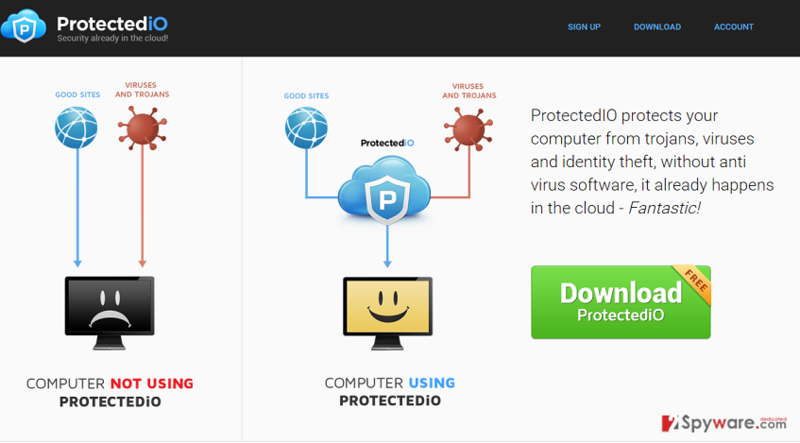 Search.protectedio.com is a part of ProtectedIO software that can be downloaded from the official website for free. Unfortunately, users are not informed directly that after installing this questionable security tool they will experience modifications of DNS setting and Search.protectedio.com redirect to questionable websites. By the way, this browser hijacker may also travel along with other freeware and shareware. Research has shown that free programs distributed via third-party download websites are most commonly filled with ‘additional components’, such as this browser hijacker, Orbitum, Binkiland Search, SoftSafe, Intelli Term and other unwanted apps. If you want to prevent Search.protectedio.com hijack, you must select an Advanced or Custom installation option when downloading free software to your computer. Once you select ant of these options, you should NOT accept to install anything except the freeware that you have selected. If you find a check box marked by default and claiming that you accept to install ‘useful’ free components, make sure that you unmark ticks that notify your installation. Other way, Search.protectedio.com virus may appear as your default homepage, search engine and start initiating unwanted operations. No matter that technically this program is not a virus, it has been noticed for showing people altered search results and causing redirects on their web browsers. If you find these activities annoying, you should remove this search engine. Fortunately, it is not hard to remove Search.protectedio.com virus from the system, especially if you opt for automatic removal option. In this case, you just need to install a reliable anti-spyware, update it to its latest version and run a full system scan with it to find components that are related to this search engine. If you don’t want to install security software on your computer, you can use manual removal guide, which is given below. 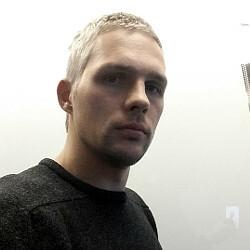 Please, be very careful while looking for Search.protectedio.com components because you may get rid of useful ones that are needed for the normal functionality of your computer. Here, look for Search.protectedio.com or any other recently installed suspicious programs. Wait until you see Applications folder and look for Search.protectedio.com or any other suspicious programs on it. Now right click on every of such entries and select Move to Trash. When in the new window, check Delete personal settings and select Reset again to complete Search.protectedio.com removal. Once these steps are finished, Search.protectedio.com should be removed from your Microsoft Edge browser. Here, select Search.protectedio.com and other questionable plugins. Click Remove to delete these entries. Now you will see Reset Firefox to its default state message with Reset Firefox button. Click this button for several times and complete Search.protectedio.com removal. Here, select Search.protectedio.com and other malicious plugins and select trash icon to delete these entries. Click Reset to confirm this action and complete Search.protectedio.com removal. Here, select Extensions and look for Search.protectedio.com or other suspicious entries. Click on the Uninstall button to get rid each of them. Here, look at the Homepage field. If it was altered by Search.protectedio.com, remove unwanted link and enter the one that you want to use for your searches. Remember to include the "http://" before typing in the address of the page. Now you will see a detailed dialog window filled with reset options. All of those options are usually checked, but you can specify which of them you want to reset. Click the Reset button to complete Search.protectedio.com removal process. This entry was posted on 2016-01-28 at 03:53 and is filed under Stealing programs, Viruses. You can quickly scan the QR code with your mobile device and have Search.protectedio.com manual removal instructions right in your pocket. How did you remove Search.protectedio.com?